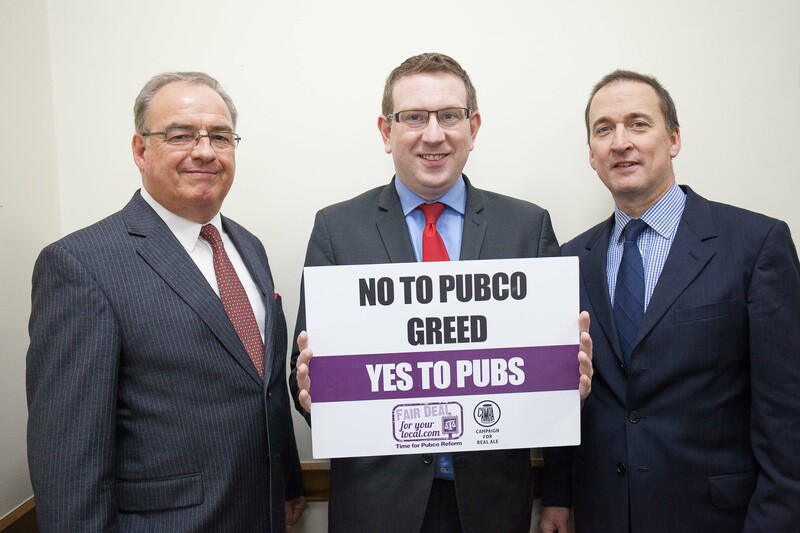 On Tuesday, Andrew Gwynne, MP for Denton and Reddish, voted to protect local publicans from the predatory practices of large pub owning companies (known as pubcos) by backing a new cross-party clause to the Small Business Bill. Following a report into the industry by the cross-party BIS Select Committee in 2010, Labour has campaigned alongside a broad coalition of groups in the industry – including the Federation of Small Businesses, the Forum of Private Business, CAMRA, FairPint and the GMB and UNITE trade unions – to call for greater protection for local pubs and put a stop to unfair treatment and restrictive practices by pubcos. The government’s provisions to regulate pubcos in the Small Business Bill, debated in Parliament this week, but these fell some way short of Labour’s plans and campaigners’ demands. Labour therefore supported a cross-party clause to strengthen the Bill. The government opposed this change but were defeated by 284 votes to 269. “27 pubs close every week and 57% of landlords who are tied to a large pubco earn less than £10,000 a year. These are scandals which must be addressed, and so I was proud to support the new clause which gives licensees the option of going free of tie – so that they can buy their beers on the open market – whenever they negotiate a new contract. “Labour has led calls for a proper statutory code with teeth on pub companies, giving tenants the protection they need and putting an end to the unfair treatment they’ve received from large pub companies. Our plans have won support from a broad coalition of campaigners including CAMRA, the Federation of Small Business, trade unions and the cross-party BIS Select Committee.